cars, bikes, pedestrians, oh my! 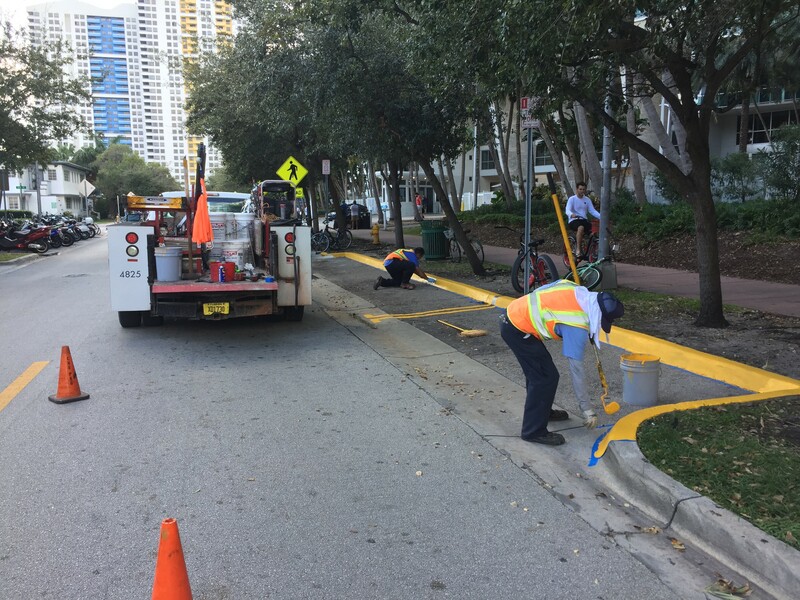 Changing transportation habits are clashing with old infrastructure in Miami Beach. As ride sharing services and bikes become more prevalent, things like taxi stands and traffic lane patterns are not only becoming outdated, they are creating other issues including gridlock and safety hazards. The West Avenue Neighborhood Association (WAvNA) is in the forefront of experiencing the problem and in trying to find solutions. 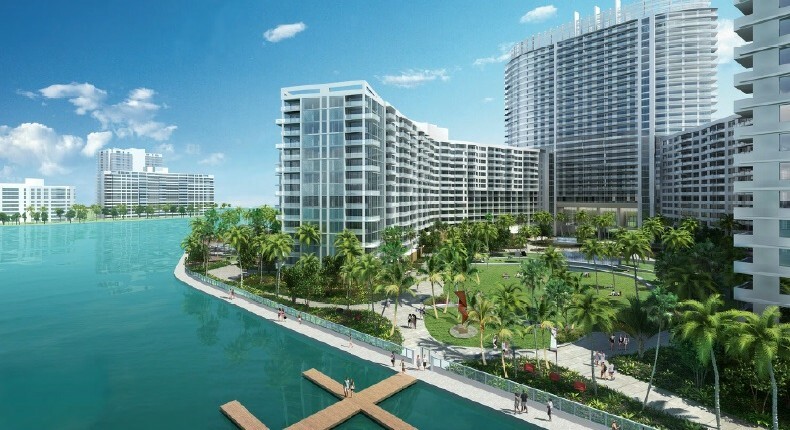 Their neighborhood has one of the largest, if not the largest residential building in Miami Beach. The Flamingo and its three towers span two blocks on Bay Road between 14th and 16th Streets. WAvNA Board Member Shawn Bryant says with approximately 1,665 units, about 4,000 (and maybe many more) people live there in what he describes as a “small village” with a vibrant community of younger residents who are more apt to use Uber or Lyft to get around. Bryant says the area is a look into the future of transportation. In just the past nine months, the growth of the ride sharing services has been tremendous. Where there used to be six or eight taxis lined up out front, now there are none and Uber or Lyft cars are doing the lining up. The problem is a closed gate restricting access to the Flamingo property and a crosswalk out front that creates a recipe for disaster when cars line up in front of the building. The photo above shows just one ride share car at 12:30 in the afternoon pulling up in front of the Flamingo gate through the crosswalk and nearly hitting a bicyclist. The problem is particularly bad at night when people are coming home from work and going out in the evenings. Bryant says cars line up 4-5 deep on the street in both directions causing gridlock, then the horns start to blow and someone will get angry and speed off around the line, creating a safety hazard. In the meantime, cars are stopping in the crosswalk forcing pedestrians to walk around and in between cars. The Flamingo has already begun to open the gates for food delivery – both larger trucks as well as single car delivery, though there is some confusion about the new policy and many of these vehicles still stop outside the closed gate, unaware of the new rules. Bryant thinks the Flamingo might see the advantages in allowing the gates to open for Uber and Lyft round the clock: Residents now have to get out of cars to carry bags of groceries through the gate and around the ramp in the front while guests have to “schlep their luggage” from the complex out to the street. “It’s actually an enhancement and an amenity to allow it,” he says. With regard to potential security issues, Bryant says the ride sharing services display markers and carry ID cards to show before entering the gate. The taxis? Bryant says they have moved on to other areas of the City and, with the help of Assistant Parking Director Monica Beltran, the old three-space taxi stand now accommodates one space for taxis and two for ride shares. As a County responsibility, Bryant says, the repurposing of the taxi stand could have taken a long time but Brooks and Beltran worked to move it through quickly. It doesn’t cure the whole problem, but it helps. Bryant also offers up praise for City staff in helping to make the crosswalk safer. Police Captain David De La Espriella has brought officers in as often as possible to help keep pedestrians safe. He also participated in the planning meeting with the Flamingo and has provided monthly updates to residents at WAvNA meetings. Meanwhile, Transportation Director José González is working on a more permanent solution. Right now, Bryant says, it looks more like a turnaround space than a crosswalk. He says the City is getting close on providing a fix. In the meantime, Bryant says he has marveled at how fast transportation habits have changed. He recently did a search from various points in Miami Beach to others using Uber pool pricing and was amazed that you could get anywhere in the City for $2.50. What he realized is that ride sharing is becoming a way for people to not only have a safe driver after a night out, but also the way to get to work and do the shopping. “I watch all these people with their phones doing the Uber dance,” he says. “They stand looking at their phones while simultaneously looking up and down the street for their ride share vehicle to approach. In six months, this is only going to be a bigger problem.” That is why he is so focused on solutions now. 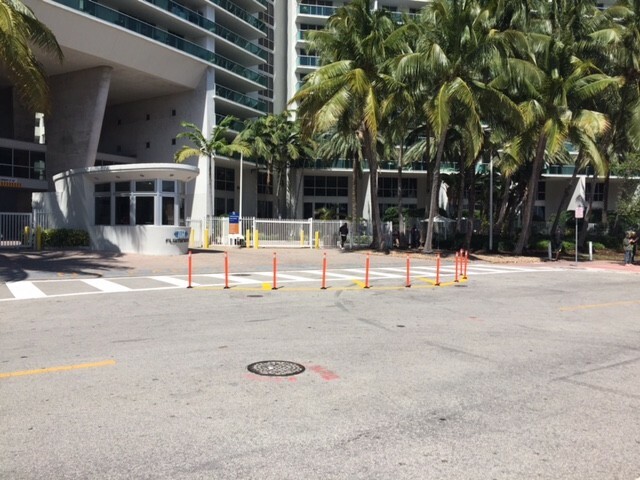 The City of Miami Beach Transportation Department has painted a new crosswalk and installed delineators in front of the Flamingo. Without striping, it was hard for drivers to recognize the area as an active crosswalk. The new stripes and bright paint should help with that! The objective of the orange delineators in a half circle is to keep cars from using the area to park or turn around. It's too early to know its impact and tweaks may need to be made, but well done West Avenue Neighborhood Association (WAvNA), community members, and City transportation team. It matters when we work together.